Le Manège boasts an exceptional location in the heart of Megève, close to the ski lift and just 100 metres from the ski slopes, by a pedestrian area with shops. For your comfort and relaxation, Le Manège features a sauna, a hammam and spa, and a solarium, as well as a calm and sunny garden. Le Manège combines tradition and luxury. Its 14 rooms and 19 suites radiate the warm and cosy atmosphere of Alps cottages. They are fitted with all modern comforts, including free, unlimited Wi-Fi. In the restaurant, enjoy simple and inventive cuisine, based on regional, seasonal produce. Eat in the stylish dining room or outside on the terrace or in the garden when the weather is nice. Le Manège warmly welcomes you from December to April and from June to August. 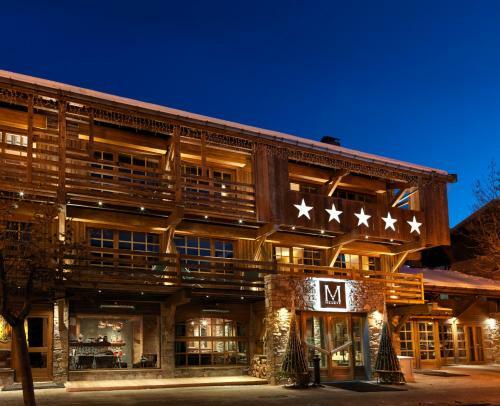 A 4* hotel in the heart of Megève and French Alps, between luxury and tradition.